Have you been charged with a crime in Springfield Township, New Jersey? Were you arrested on a warrant and sent to the Burlington County Jail? Were you subjected to a motor vehicle stop and charged with Driving While Intoxicated or Refusal to Submit to a Breathalyzer? Whatever your situation, the Criminal Defense Lawyers at Proetta & Oliver are available to assist you. Our firm has handled thousands of criminal cases throughout New Jersey, including Burlington County. We are conveniently located to handle any criminal or serious traffic matter in Springfield Township. Contact our office today for your free consultation by calling 609.850.8284. Springfield Township shares its municipal court services with Mansfield. The court, located at 3135 Route 206 in Columbus, NJ, has a busy court calendar. As a court of limited jurisdiction, the Springfield municipal court only handles cases involving disorderly persons criminal offenses, petty disorderly persons criminal offenses, municipal ordinance violations, traffic tickets and other matters. Some of the most common cases involve a School Zone DWI, simple assault, marijuana possession, CDS in a motor vehicle, possession of drug paraphernalia, resisting arrest, eluding, Driving While Suspended, Speeding, Leaving the Scene of an Accident and theft of movable property. Depending on your charges, you could be facing up to six (6) months in jail and a suspension of your driver’s license. Having an attorney who is well-versed in criminal law and the Springfield Municipal Court can help avoid these negative outcomes. For a consultation with a Burlington County Criminal Defense Lawyer, please call 609.850.8284. Judge: Honorable Dennis McInerney, J.M.C. Located in the northwestern portion of Burlington County, Springfield is one of the smallest towns in terms of total population. Despite being 30 square miles, Springfield Township only has about 3,000 residents. However, with major roadways like Route 206, New Jersey Turnpike and 295, Springfield is home to a large amount of daily commuter traffic. Between local and commuter traffic, the Springfield Police Department and State Troopers have issued over 3,000 traffic tickets in the last two years alone. This includes Driving While Intoxicated offenses, speeding, careless driving and driving while suspended. Home to the Burlington County Fairgrounds, Springfield has become a point of attraction in recent years. 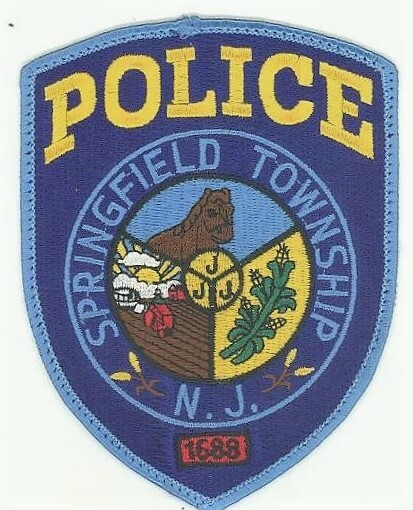 For more information on the Township of Springfield, please visit the link. Whether you were involved in a domestic dispute and charged with domestic violence simple assault or you were pulled over after a night of drinking, it is important that you consult with an attorney. Understanding what penalties you are facing, what defenses may exist and what you can expect at court is imperative in deciding how to proceed in your case. At Proetta & Oliver, our firm has made criminal law our primary focus. Our attorneys have dedicated most of their careers to criminal defense work and zealous advocacy. We understand the in-and-outs of criminal law and municipal court litigation. We are well-situated to handle any Burlington County matter. For your complimentary consultation with a Springfield NJ Criminal Defense Attorney, call (609) 850-8284.